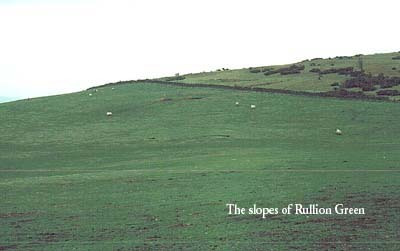 Pentland Rising – Rullion Green. 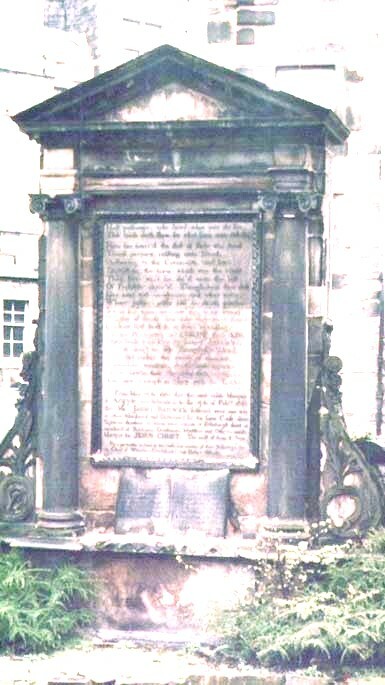 headstone commemorating the events of 1666.
indecipherable and badly in need of cleaning. with great renown, By falling got the Martyr`’ Crown. and many more of the band went their different ways. ground is a long slope, highest at the north end. 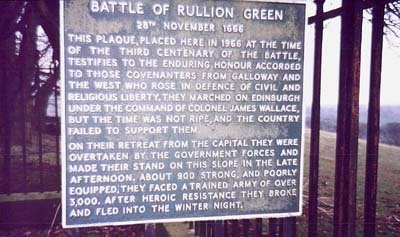 50 Covenanters dead on the slopes of Rullion Green. clear day Ayrshire can be seen over twenty miles away. the persecution of the Presbyterians took a bloody turn. their respective home areas to be exhibited as a warning. 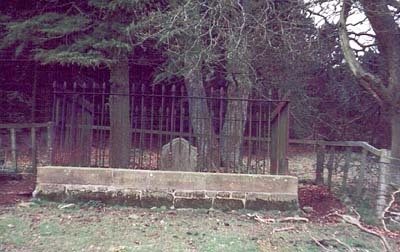 And hearts of rock, close – clamped with many a bar. And rate them harsh, and stern, and sour the while. While we are worthy, shall be praise enough. 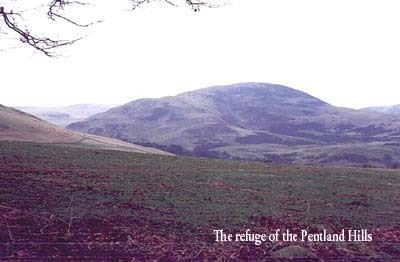 The Pentland Hills by Baroness Nairne. Who waved the banner blue ! And bore it to the sky. the Whigs and Rullion Green (S Colvin, 1711).